It’s Easter and that means the spring moving season is here. As your Santa Barbara movers, Hazelwood Allied Moving and Storage is here to help you every step of the way. Whether you are moving across the street or across the country, our Santa Barbara moving company will make the whole process easy and painless so you can start enjoying time with your family in your new home. Pre-plan Placement: Get a floor plan of your new home or office, and spend some time before the move thinking about furniture placement. Then you can have the movers put everything exactly where it should be, and you won’t have to spend time rearranging rooms. Organize as You Go: Don’t take all of your boxes and just pile them in the garage or one room of the house. Make the effort to take each box to the room where it belongs, and you will be one step ahead of the game. Prioritize: Focus on what you will need to be up and running. For a home move, you will probably need a place to eat and a place to sleep first, so concentrate on the kitchen and bedrooms. Don’t put a lot of pressure on yourself to get everything done in one day. Delegate: Get your whole family involved in the unpacking process. Children who are old enough can unpack their belongings and organize their own bedrooms. This gets them involved, and promotes a sense of ownership for their new surroundings. Store What You Don’t Need Now: Don’t waste time trying to organize all of the winter gear you won’t need for now. Take those items to our Santa Barbara self-storage facility and leave them there until you have time to deal with everything. If you need the services of a professional moving company in Santa Barbara, contact Hazelwood Allied, and we’ll help get you on your way. Now hop to it, get those boxes unpacked, and have a Happy Easter! 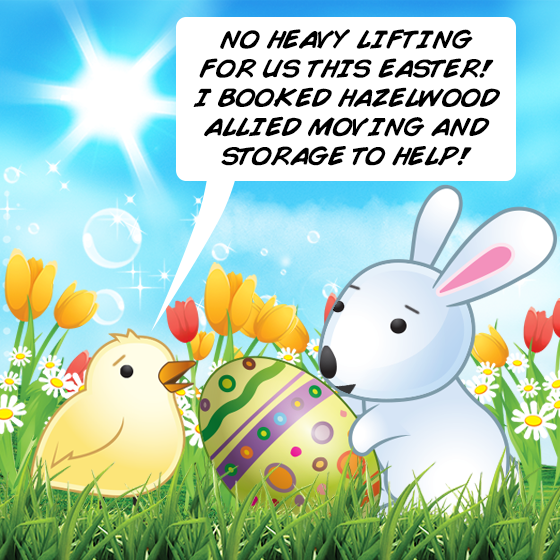 About Hazelwood Allied Moving and Storage: Hazelwood Allied Moving and Storage is one of the oldest family-owned businesses and moving companies Santa Barbara has to offer. In addition to residential moves and commercial moves the company also offers Santa Barbara storage units. 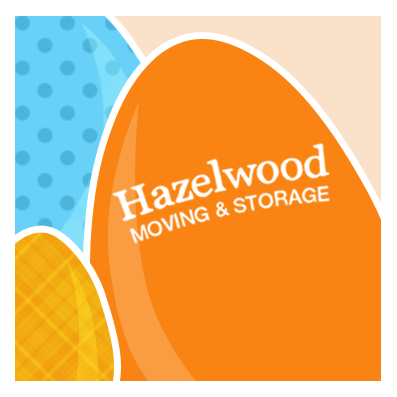 Visit the website at http://www.hazelwoodallied.com/home to read client letters about the Santa Barbara movers. “Like” the Facebook page for moving and storage tips. Call 800-541-5958 for a free estimate and further information on storage units in Santa Barbara.